Some sellers may not even know what "APO" and "FPO" mean, apart from a vague awareness that they have something to do with government and must cause problems of some kind if so many other sellers are unwilling to ship to them. APO and FPO addresses, in fact, are the addresses of U.S. military personnel stationed around the world. APO addresses are associated with the U.S. Army ("Army Post Office") while FPO addresses are associated with the U.S. Navy ("Fleet Post Office") and generally don't contain street addresses, but rather box numbers. Generally speaking, the U.S. Postal Service (USPS) is the way to get a package delivered to APO and FPO addresses. 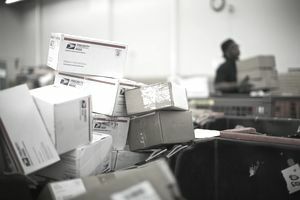 With such an unofficial stigma attached to shipments to APO and FPO addresses, it's tempting to imagine (for those that have never shipped to them) that they create extra hassles of some sort. There are one or two additional constraints involved in shipping to APO and FPO addresses, but in general terms, there's little to no additional hassle of any kind involved. In most cases, shipping to an APO or FPO is no more difficult than, and involves no more cost than, shipping to any other domestic address. If you're already shipping using USPS, there's really no reason not to ship to APO and FPO addresses. If you don't already ship via USPS, eBay makes it easy to do, giving you the ability to create pre-printed, automatically-tracked shipping labels directly from your PayPal balance for any sales that you make. If you're already using pre-printed eBay shipping labels, there's nothing additional that you have to do when it comes to packing your shipment, addressing your package, and paying for shipping. Simply use the address that eBay and/or PayPal provide for your buyer, the one that is automatically added to the label. Shipping costs will usually be either the same or similar to domestic rates for all common kinds of USPS packaging since APO and FPO addresses are still considered domestic addresses. Put the box number where you would normally put a "street address"
Put the word "APO" where you would normally put the "city"
After addressing your package and paying for shipping, there's one other wrinkle that must be attended to before your package is on its way to an APO and FPO address—a customs form is likely to be required since your package will, in fact, be traveling internationally in many cases. This adds no cost to your shipment and only takes a moment to do. Use United States Post Office form 2976 to describe the contents of your package. You can avoid having to make a trip to the post office and include the package in your regular pickups or dropoffs without additional waiting or interaction by using and printing the online version of the customs form at the USPS website. Given that shipping to APO and FPO addresses is so much easier and more painless than many sellers imagine, the fact is that you only stand to gain by opening your sales to APO and FPO customers—and with so many other sellers refusing to deal with them, you also gain a foothold ​in an often underserved market where you'll have far less competition from other sellers.